Currently mobile phones only enable you to call people but what if you could call objects too? What if you could call a place and fill every device in that place with your messages? 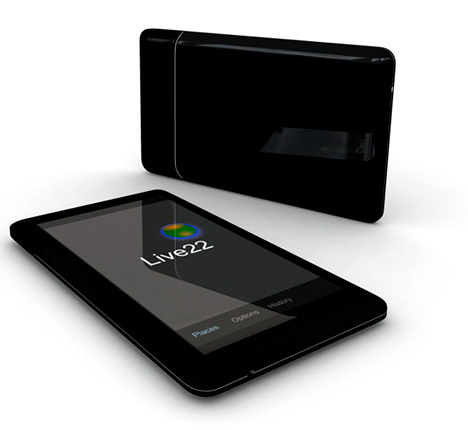 The Live 22 concept has 3 modes. Call mode operates like a regular mobile phone - call 1 or conference with multiple people. The Contextual Text Mode allows you to send text messages to every device in an environment, be it a computer or TV. Think of it as a massive twitter-like messaging board. The third mode called Glance lets you remotely observe the environment - see who’s there and what’s going on.